Maryon Pittman Allen, one of only two women to serve as a U.S. senator from Alabama, has died. Allen’s nephew, state Sen. Trip Pittman, says his aunt died Monday. She was 92. Allen was a journalist who married state politician Jim Allen, who died while serving in the Senate in 1978. Then-Gov. George Wallace appointed Allen to fill her husband’s Senate seat until a special election could be held. Allen served for five months starting in June 1978. She later wrote a column for the Washington Post and operated a company that restored vintage clothing in Birmingham. 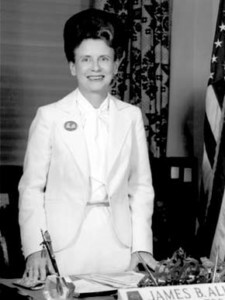 Congressional records show Dixie Bibb Graves is the only other female senator from Alabama. She was appointed to the post by her husband, Gov. Bibb Graves, in 1937.